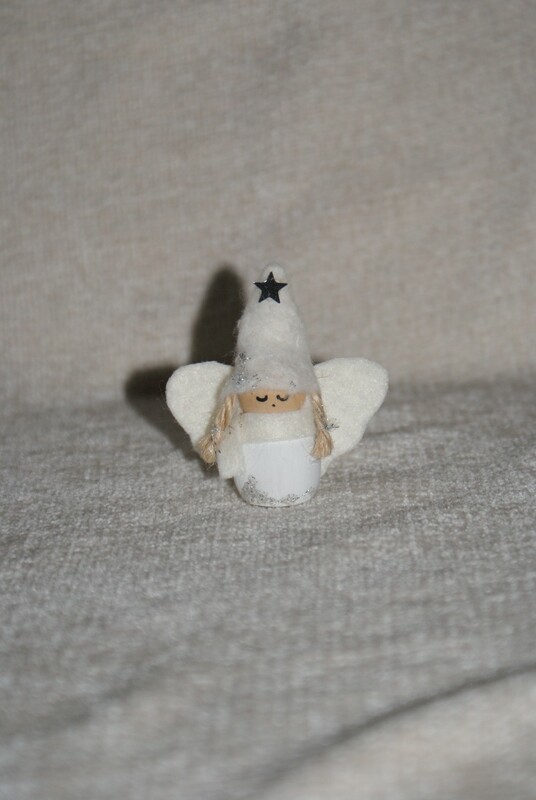 This little angel stands 9cm tall approximately, she is able to stand on a flat surface or fly (hang) in the Christmas tree. 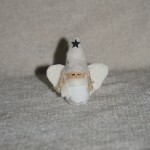 She has a white painted wooden body with a sprinkling of silver glitter with wings made from white felt. She is wearing a white felt scarf and hat which is also decorated with a sprinkling of silver glitter and a silver star shines from the top of her hat. Her hair is a simple twist of string held in place with silver thread.